Limburger article, dated 15 July 2009. 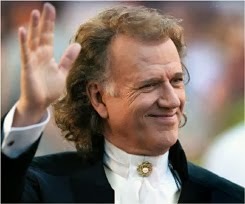 Maastricht: The City Council of Maastricht is very positive about André Rieu's plans to conduct concerts on the Vrijthof for two weekends next year. This according to a Maastricht City Council spokesperson. 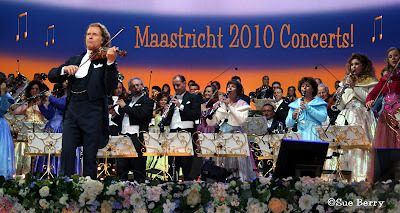 The decision is ultimately the Maastricht City Council's, since the expansion of Rieu's performances will lead to more event days on the Vrijthof than originally allowed. According to a spokesperson of the City Council, the normal fifty event days, determined by an Advisory Body, has already being exceeded. 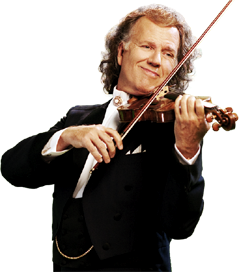 Expanding on the number of Rieu Concerts and the possibility of a new Summer Festival in between the two Rieu weekends, would lead to even more event days. 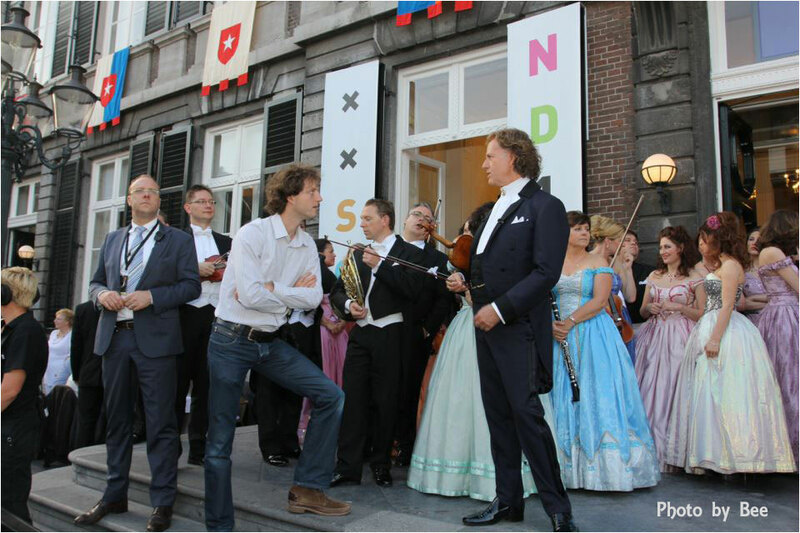 The Advisory Body has already issued the City Council a yellow card (a formal warning) for exceeding the normal fifty event days on the Vrijthof. Approving Rieu's requests could lead to a disregard of the norm authorized and cave in to the wishes of other organizations. 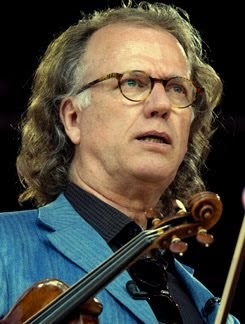 Rieu has since performed a string of Five concerts on the Vrijthof. According to a spokesperson of the City, the atmosphere was excellent. All hotels were booked solid, and the profits better than expected. 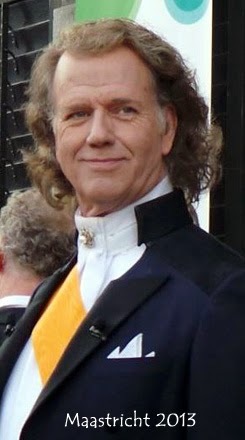 "In view of what has transpired the beginning of July, we look very favorable upon Rieu's plan". 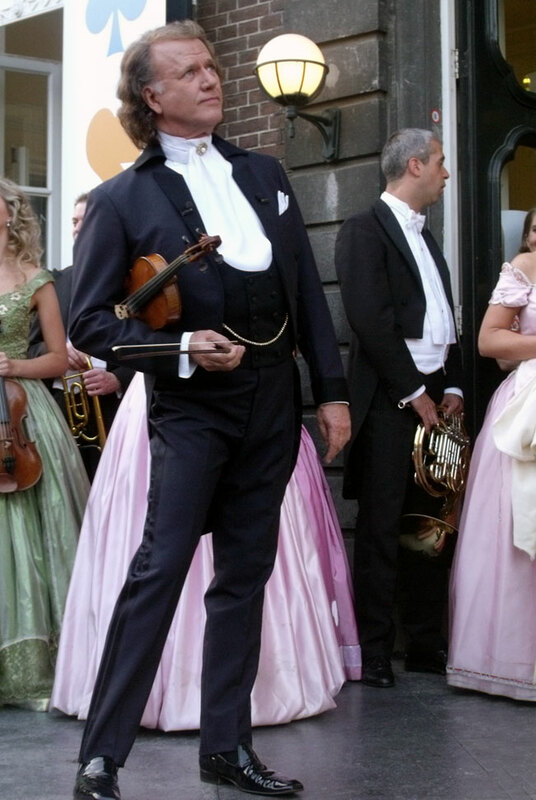 The period in between the two weekends would be used to organize a Summer Festival in Maastricht. 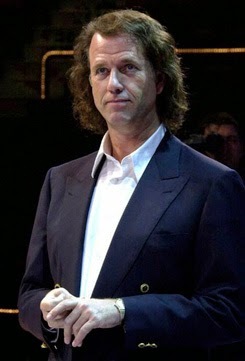 "Rieu has already given his approval to use the stage for other events". 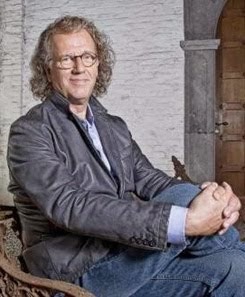 Plans for a Summer Festival are in the making with the Theater at the Vrijthof, the Hotel and Restaurant owners around the Vrijthof and the neighboring Platielstraat. ►This book is in Dutch and contains 14 interviews of 14 assistants, secretaries of famous Dutch politicians, top managers of various nationalities, mayors, attorneys, etc. In the first part the assistant talks about his/her boss. In the second part the boss talks about the assistant. 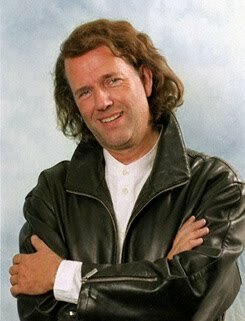 And the third part is a general survey of the boss’ career. 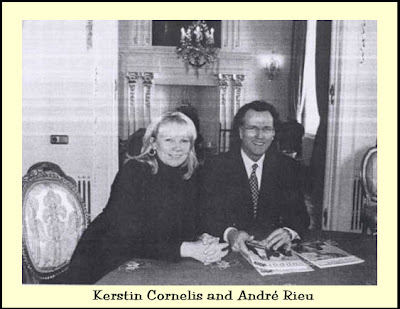 This is the second part: What André says about Kerstin. "There Must Be a Connection Between the Parties Involved"
I make music, Kerstin organizes everything around. She is my right hand and I don't have to worry about anything. Everything is always properly coordinated to within the smallest details. She is responsible for a budget, but also the organizing of tours, hotel accommodations, and the press contacts all go through her. In that aspect she is a buffer between me and the rest of the world. And if it happens that we stay in a hotel that I don't like, I tell her. However she always has her reasons in choosing certain accommodations (because other hotel s were fully booked, or for budgetary reasons). But I can depend on her that we will never stay in that hotel again. Our similarity is that we are both very professional. We love travelling ... every time to be somewhere else, sleeping in a different city, waking up early, these are things that make the job attractive. But those are not the only things. What is most important is that you understand each other, otherwise you cannot survive. Especially when you are on tour. You have almost 24 hours per day to deal with each other, so there must be a connection between the parties involved. With us there is that connection. We have good conversations, have fun and laugh about the same things. In any case, we all are one big family. 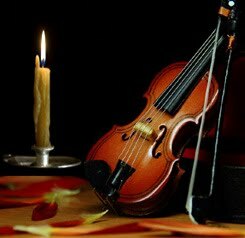 Someone might play the violin beautifully, but if there is no relative closeness, it will all come to an end very soon. I expect a lot from my musicians, arriving late for rehearsals is not done. But I try to give a lot too. You are a little of a father figure for such a group. I am convinced that whatever you invest in, it comes back to you multi fold. That's why we have such a nice time together and we radiate that from the stage. That enthusiasm is our strength, the audience notices that is real. Kerstin contributes a lot to that, by keeping me free from all the businesslike worries. She ensures that everything runs smoothly. "I cannot imagine that she would not want to work for me any longer. Fortunately, I have not yet noticed a sign that she wants to leave us." 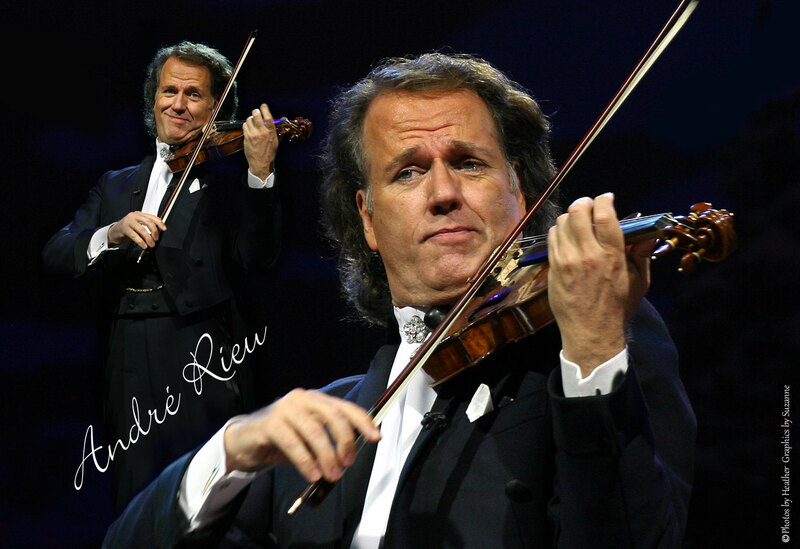 ►The third part is about André's career. Most fans know of that already. 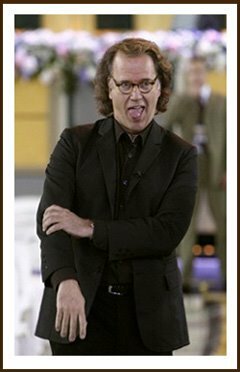 But if you don't know yet, go to Ineke and Ruud's Website: ►www.andrerieu-movies.com ....... Click onto the stamp on the Home Page. 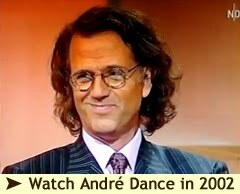 In the next screen you'll see a wonderful almost year by year description of André's career. She runs her legs out from underneath her body for him, knows his plus and weak sides, knows which foods he likes best, and she is no threat to his wife. 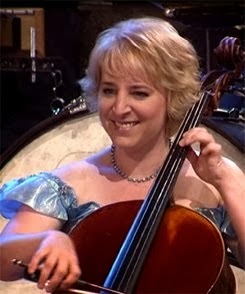 Kerstin Cornelis has for nine years been the silent force behind super star André Rieu. 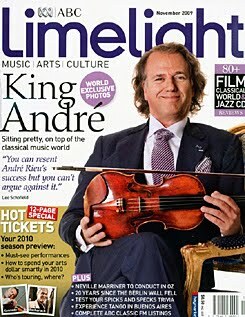 The pretty Belgian woman says in an exclusive interview with ©"PRIVE": "We’ve never had a hell of a fight" and "I sing totally out of tune, but André does not mind!" 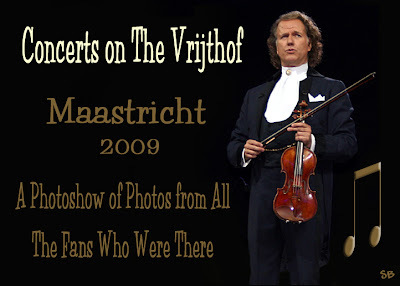 The Vrijthof in Maastricht was for five concerts her work location. 55.000 cheering people, not a chair to be had. "At 9.30 AM I was already here running around in my sneakers". 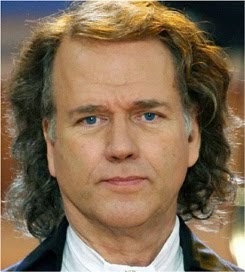 No one knows Kerstin Cornelis (41), but André Rieu would not know what to do without her. 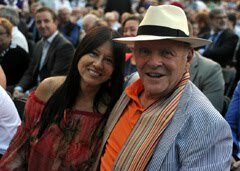 For nine years she has been his shadow, the buffer between the super star and the rest of the world when the orchestra goes on tour. 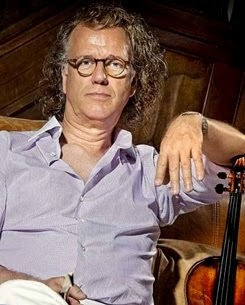 "I am not his secretary, but on tour I am his right hand ", says the blond Belgian woman who reveals details about her special relationship with the big orchestra leader in the book ©"The Boss, the boss" by Ria Harmelink, (published by Haystack) and in Privé. 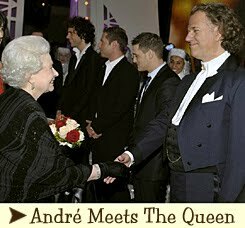 No, André's wife Marjorie is not consumed with envy. She was not involved in the hiring process. "I met Marjorie for the first time after I had accepted the job. 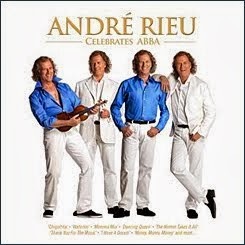 First I had a conversation with two gentlemen and they felt they needed to introduce me to André. 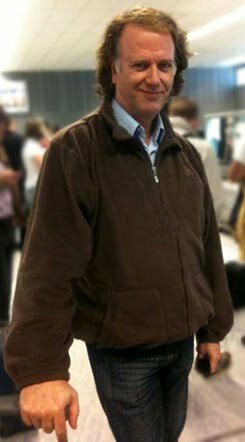 When I met him for the first time, he had just returned home from his tennis lesson. He was still wearing his jogging outfit. We talked with each other for about 15 minutes I think, and then we were done. A week later I started the job. 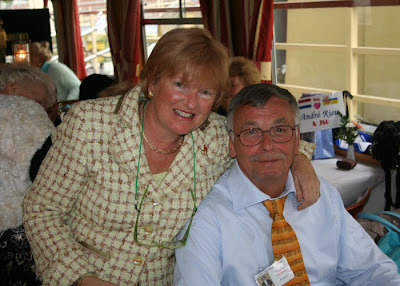 I think it is important for Marjorie to know that her husband found someone he can get along with in his work. 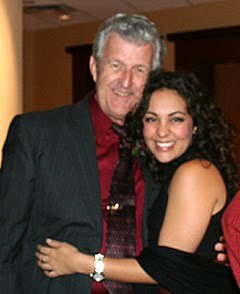 She is a wonderful lady, the other half of André. They do everything together, she is always there. They are like two peas in a pod. Marjorie writes his texts. Everything he says on stage is hers. That she does not always join us on tour is because she does not like to fly. 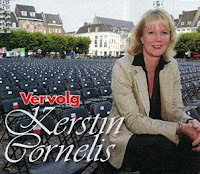 Most of the time Kerstin wears a black suit, in which she looks professional and secure and that is meant to be that way. "We give 120-130 concerts per year. Almost the entire year we are on tour. I need to create an image. 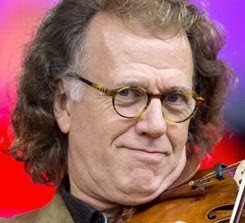 André needs to concentrate on the concerts". 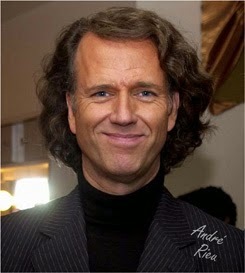 She admits: "André is a handsome man with charm and charisma. He is a real romantic. That's why lots of women feel attracted to him. There are those that would want to crawl under the fences, but they don't succeed. Those ladies are removed in a proper way. André does not let that bother him. In fact the fans are his living. No fans, no performances. My intuition says that he secretly loves all the attention. Contact with the press is not always pleasant. It touches her when they publish negative articles about her employer. Recently an article appeared on the front page of a German magazine, a picture of André arm in arm with Princess Mette-Marit of Norway. That was a Photoshop, because André had never met her. The headline insinuated that they had a relationship and I found it to be horrible. 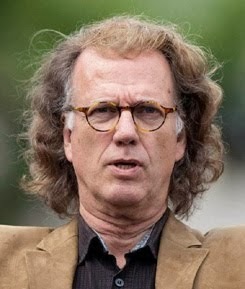 I was shocked, but André says, "As long as they don’t accuse me of murder or child abuse, I will not react. We know better!" Kerstin, the mother of an 11 month old daughter, is seldom at home. 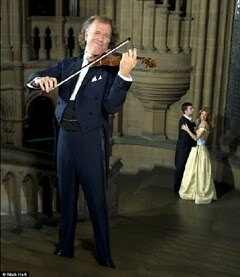 The entire month of November 2008 we performed with a 60 person big Johann Strauss Orchestra in Australia. In December we toured through Holland and Belgium. In January and February 2009 Germany and France, in March a week in Japan, and in April, May and June two and a half weeks in North America. 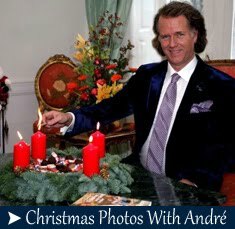 Next year we are going to South Africa and André also wants to perform on the North Pole. That is no joke. There have already been some casual discussions. This is not a nine to five job. I think you have to be enthusiastic for what you are doing. Otherwise you will not survive. 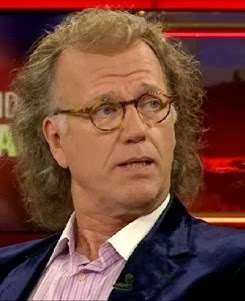 From day one there was a connection between Kerstin and her employer. That was for us the criteria to work together. You find each other in happy moments, but also when you are very tired. Emotions come to the surface. 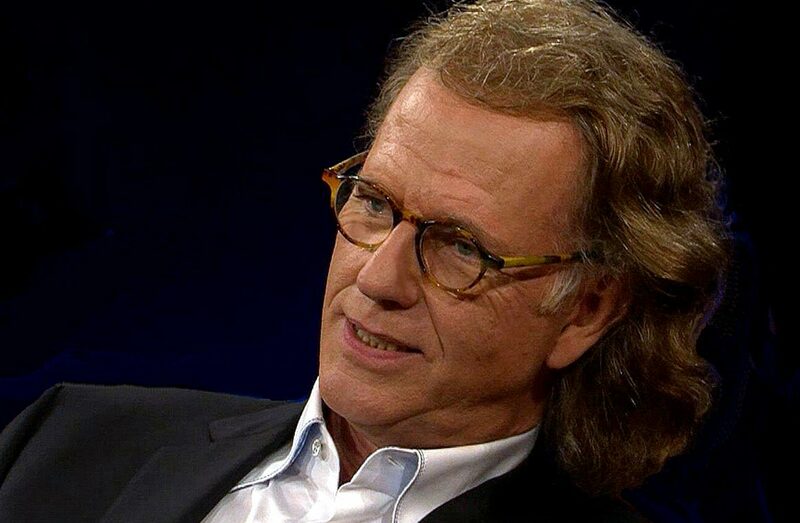 André can react very swift and decisive. You have to cope with that. No, we never had a drag out fight and I was never very angry in the way of, "Don't ever talk to me like that again…!" But there were moments when I had to swallow….. 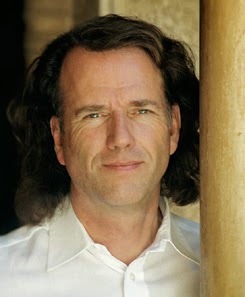 He notices that immediately and corrects himself by saying, "You are not angry are you…?" We know what we have in each other. When I am tired I can also be somewhat grumpy. 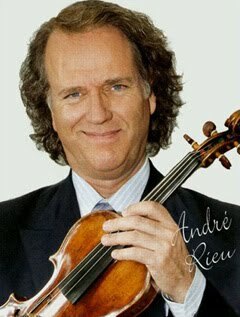 André has a very direct side, but also a very soft side. 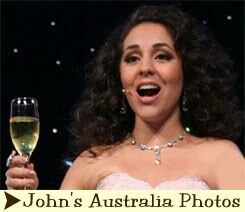 Thankful: "At first I was not going with the group to Australia. Two months prior I gave birth to my daughter Ayko and I was still nursing. I said: "I am not leaving her home for five weeks". 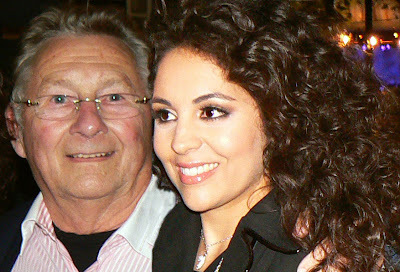 André reacted spontaneous: "Then you will bring a nanny along on the tour". Everything went fantastically well. The flight took 23 hours, and not a peep. A boss with many sides? 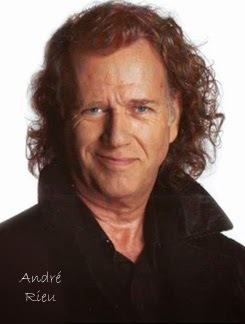 André is not easy, but also not difficult. He is a perfectionist and a boss who demands respect. And therefore you can expect more. He is certainly open to suggestions, but when he has a certain vision in his head, he stands his ground, and when there are decisions to be made, he is really THE BOSS. But he'll never explode to anyone. A lesser trade? 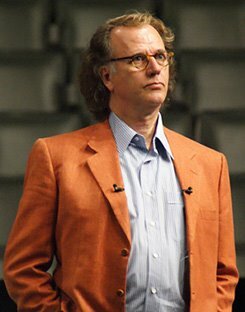 André is impatient. He admits that himself. He prefers to have things done yesterday. I learned to cope with that. 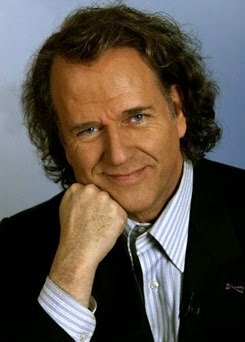 Is it nice to have dinner with him? That varies. Sometimes he is text messaging or calling all the time when we are having dinner with the entire group. But he can also enjoy his meal very much. I always have to arrange the restaurants. 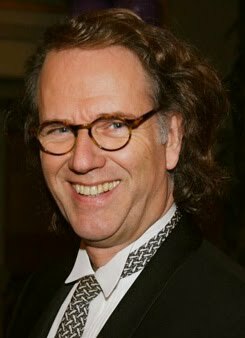 André prefers Italian food, but he also likes Japanese or Chinese food. As long as it tastes good. 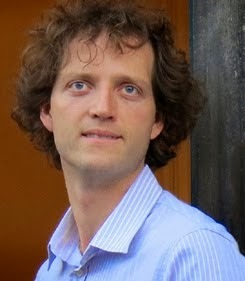 Is he a Burgundian? Oh yes, but when he has to perform that night, he takes that into account. He loves a glass of wine. 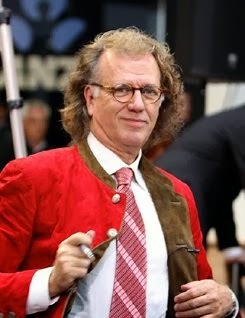 Andre is a real lover of Bordeaux wine, but never too much. He is also vain, he does not want to gain weight. Is it hard to give him a birthday present? October is the date again. No idea what to buy, he has everything. But two years ago I had a surprise for him. André loves the Starbucks caramel macchiato coffee. There is no Starbucks in Maastricht, but there is one in Aachen (Germany). 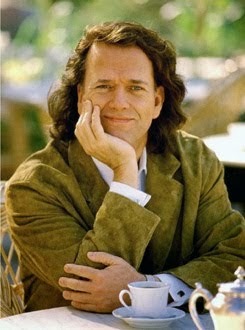 My husband works in Aachen, so I called him to order a caramel macchiato and said, I'll meet you. At the border I took the still hot coffee from him back to Maastricht. You should have seen André’s face!! Kerstin says she has a dream job. I was very lucky, I love this job so much, I am proud to belong and be part of the group. Remember the Photoshows are best watched by clicking 'Full Screen'. 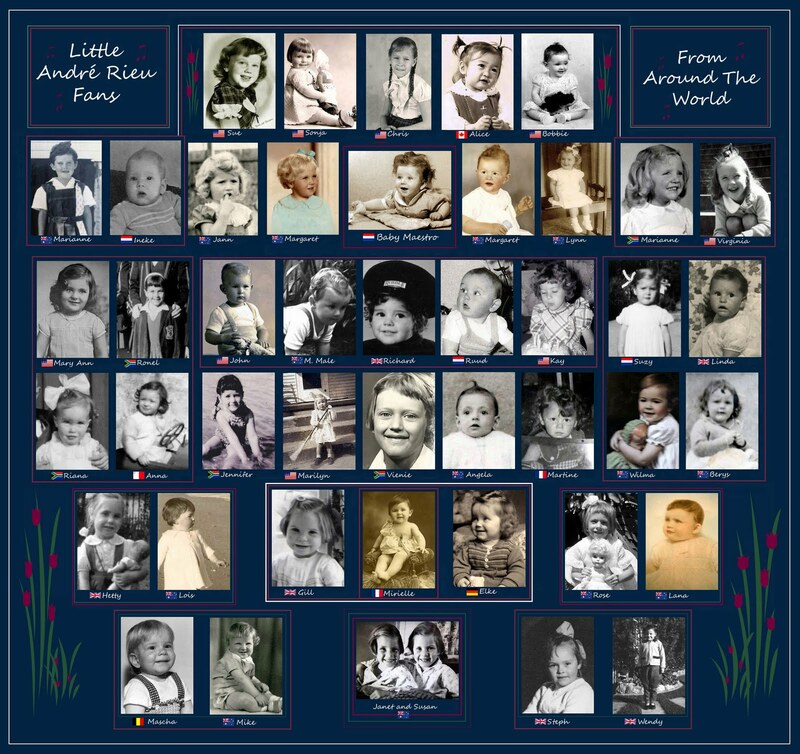 I have made another Photoshow with some of Al's Pictures. 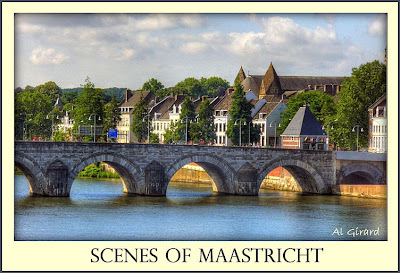 I chose some of the Highlights of Maastricht that he had taken. Enjoy! 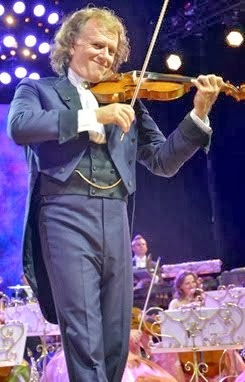 André Rieu is the world's most successful male touring artist of the first half of 2009, according to Billboard Magazine. 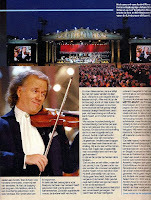 The leading music industry publication has published an overview of the 25 best selling tours and Rieu ranked number 4. With 554,242 tickets sold and $57.4 million in gross revenue, only Madonna, Tina Turner and Britney Spears had more revenues coming in. 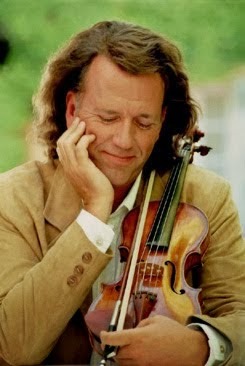 Rieu, who already clinched the 8th position on Pollstar's 2008 touring chart, is pleased with the news. 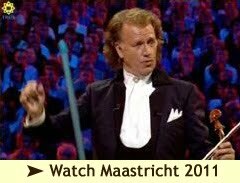 Says Rieu:"It is fantastic. 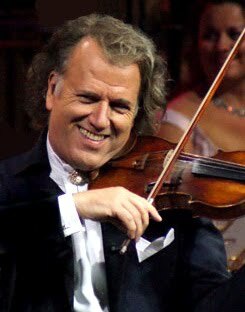 The last 30 years I worked hard to entertain as many people as possible and show them that classical music can be a lot of fun. That is my mission and the fact that we're so high on the chart shows that we succeed in that." 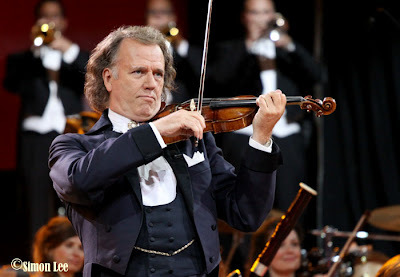 No Surprise ~ Although Rieu's success is remarkable to outsiders, it is by no means a huge surprise for the millions who already have discovered Rieu and his Johann Strauss Orchestra. 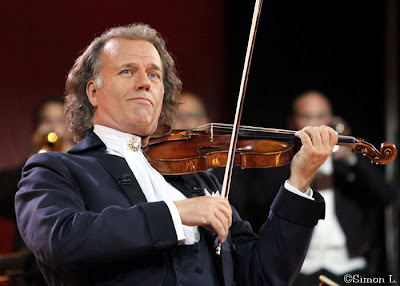 Rieu's concerts are very different from what many people expect from a classical concert. 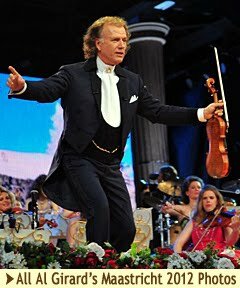 Being a natural showman Rieu gets the audience, ranging from 0 to 100, out of their chair and on their feet, dancing, clapping and laughing. 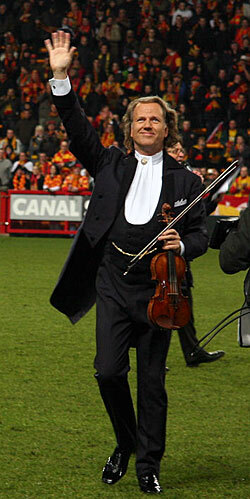 Rieu's concerts are extravaganzas that attract thousands of fans a night. 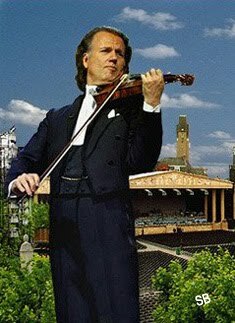 Global Success ~The success of Rieu is truly global. 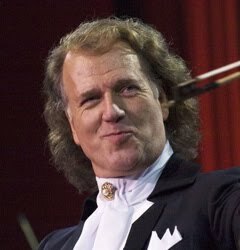 In the last year, Rieu and his 55 piece Johann Strauss Orchestra toured Japan, Australia, all over Europe and just completed a 35 city tour in the USA and Canada. 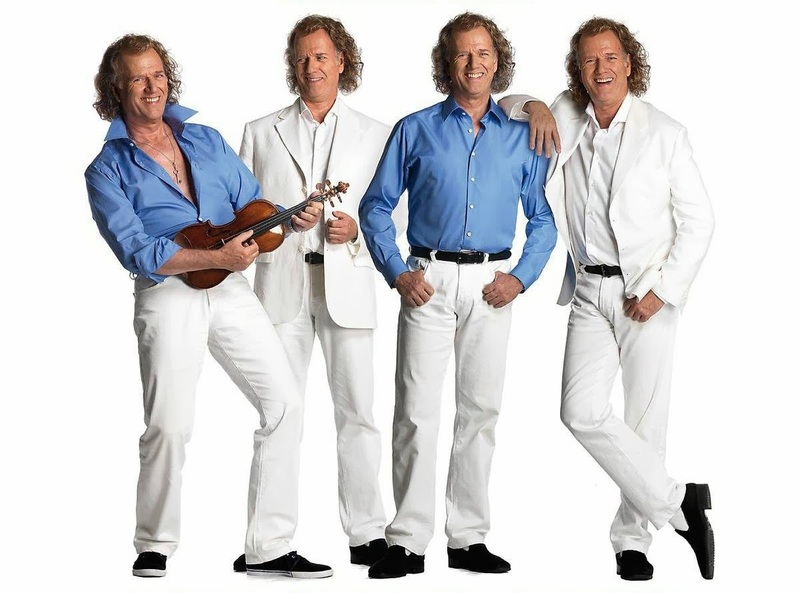 Capitalizing on his success, Rieu is currently making plans to tour South America, South Africa,United Kingdom, and Portugal. 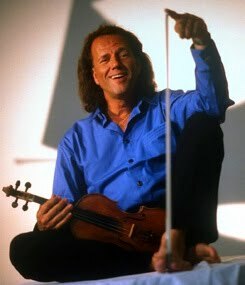 Unique is that Rieu, who is fluent in many languages, always addresses the audience in their native language. 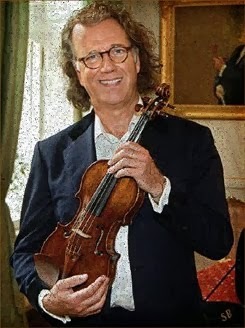 Ambassador of Classical Music Rieu, who plays a 1732 Stradivarius, is passionate about music and is dedicated to introduce children to the world of classical music. "In New York and Los Angeles we invited inner city kids to the soundcheck and the concert. It was great to introduce them to this kind of music, which they usually don't hear, and see that they truly enjoyed the whole day. 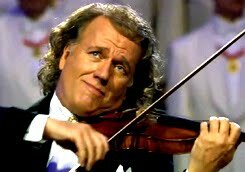 Being anambassador for classical music, that's what I've done in the last 30 years, and that's what I'll continue doing in the next 30 years," states Rieu. 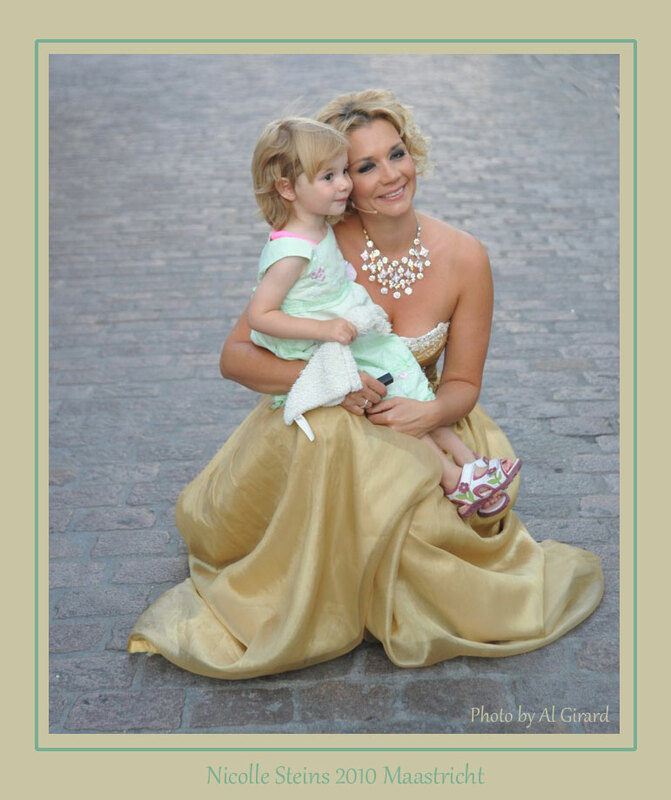 Here's another Great Photoshow from Adele! She's worked hard on this one ~ enjoy!! 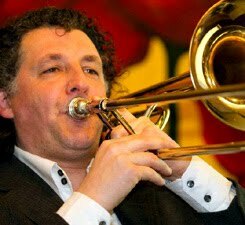 André and Co marching down the aisles to … you guessed it ... 76 Trombones; I personally love it; a real rabble rouser, Light Cavalry. Followed by ‘Non it scorda di me’, a favourite of Pararotti’s. 400 Brass players enter with ‘Alte Kameraden’, a German military march, that is very popular internationally, you would all know it. 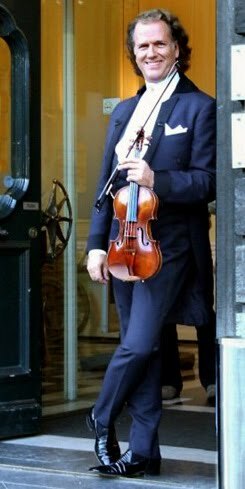 Then they play ‘Pini di Roma (Pines of Rome) by Respighi. Now, this was a slightly controversial piece amongst the fans that I spoke to. Many loved it and a few were not so keen. Certainly the lighting and effects were really impressive, blue and magenta colours, and an excellent use of the 400 Brass instruments. You can certainly say, ‘it was different’. It got a Standing Ovation! They continued with the Triumphal March from Aida, Nearer My God to Thee, with the audience humming along with the brass. Ben Hur, again the music for 400 brass, stunning lighting effects , with André conducting the brass most of the time, as Sue said in her posting. Interval ~ For once André had to have patience after the interval !! 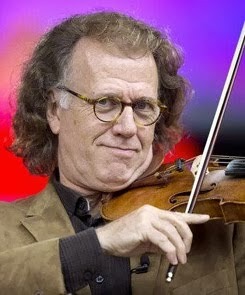 Often he just starts playing and then ridicules the late comers. 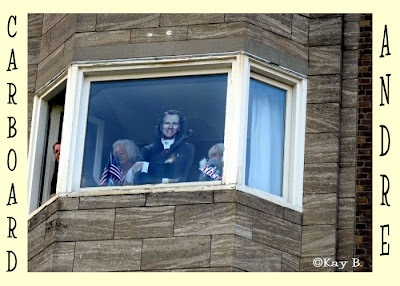 This time he needed the audience back in its place for….. The ‘Doll Song’ (Song of Olympia from the Tales of Hoffmann) Carla in her lovely pink dress ... She was brought on stage as a ‘Birthday Present’’ (you all know what I mean). It got a standing ovation. Wolgalied (Lehar) however this was cut out of the rest of the concerts. Then the ‘Earth Song’... With Carman Monarcha and 30 children dressed in white ... Impressive, certainly, even if you were not a fan of Michael Jackson. I thought it was fabulous. Standing ovation ... Carmen was totally drained after it. 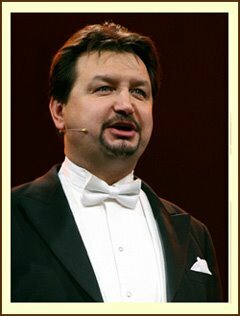 Gosh, those of us at the Dress Rehearsal on Thursday had began to understand the implications of how to manage the 30 children onto and off the stage ... And I have a short video clip of that part of the rehearsal..
We continued with Colonel Bogey , and we were all whistling along, with André conducting us . Mirusia’s ‘Time to Say Goodbye’ (Con te partiro), got another standing ovation. She did an ‘encore’. And now, believe it not, for the first and only time, a waltz ... I wont tell you which one ... ! But ‘our very own Bobbie and John were dancing to it ...! 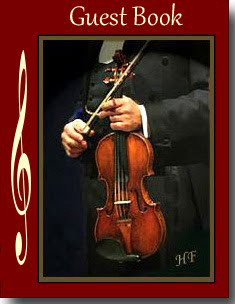 ‘Ode to Joy’ Beethoven 9th symphony ‘All Men Shall Be Brothers’... 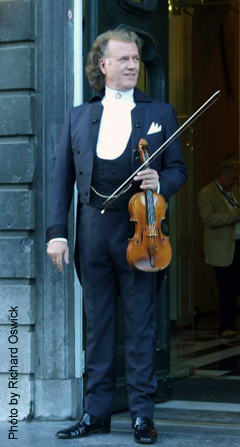 The Radetzky March … then get ready to go down for the encores!! 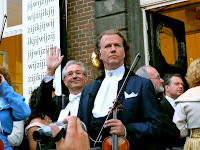 Strauss & Co, the Brazil Symphony, Limburg National Anthem, Maastricht Carnival song, (that Alice has talked about) Adieu Mein Kleine Guarde Officier, ‘You’ll never walk alone’ and we end with the Brahms Lullaby……. Overall, in my opinion, whilst there are some 'old standard's , there is also a lot of new stuff we have not heard before ... You will not be able to compare it to any other DVD. 11 Comments ~ write your Comment here! 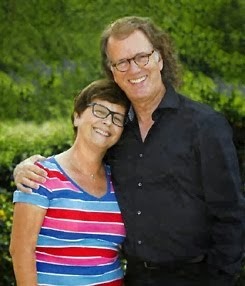 "A Letter To Everyone From Ruud and Ineke"
Everything worked out so well with the Fan Dinner this year! 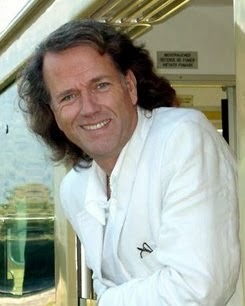 First of all we were delighted that the fans payed the fan dinner amount so promptly on Ruud's pay pal account. That is very important. That works relaxing for us. 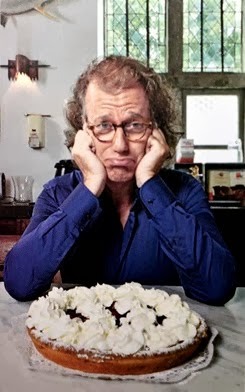 A few months in advance we had received most of the money, so the last month we could concentrate on the new fans who had troubles with pay pal or who wanted to pay by bank (that takes time), the last minute changes and cancellations. Even some last minute fans paid cash by entering the boat, after we already had paid the shipping company in advance. To make it easy for us, they brought the money cash in an envelope, so no need to change coins. Bravo fans!! Your cooperation was very much appreciated. The contacts with the manager of the shipping company Stiphout and with the servants on the boat, were wonderful. 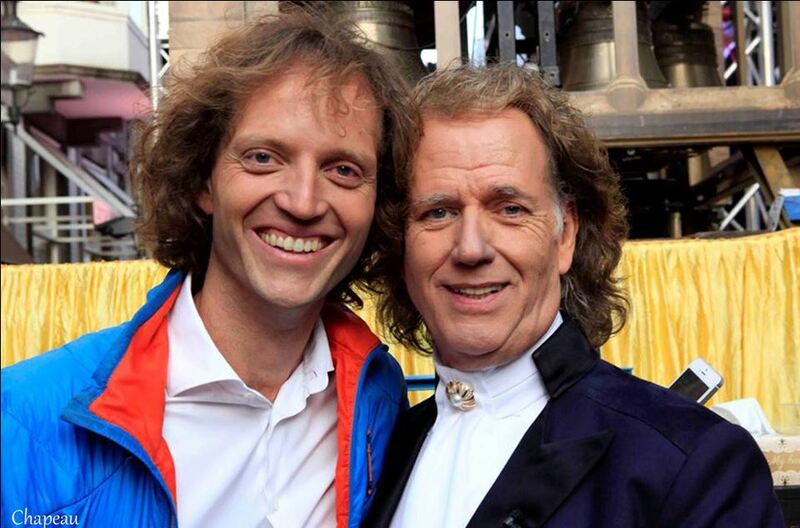 They also liked the Andre Rieu happening!! One of the servants said: I work here for 5 years now, but this is the most wonderful group we ever had! Isn't that a compliment, fans??? They loved the variety of nationalities, behaving like one big happy family. A few of us entered the boat early at 3.30 pm, to be able to fix the decorations. 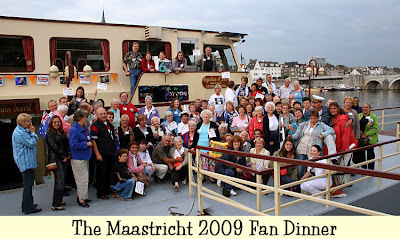 The servants were still cleaning the ship, for it had sailed up and down the Maas river with tourists till 3 pm that day. The ship, named Scheldevallei (which means the valley of the Schelde-river. 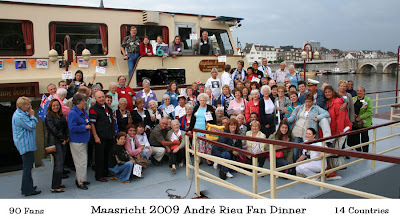 The "Schelde" is a river in Belgium, with a very big harbor in Antwerp), can hold 300 people. The ground floor was for 100 people and a buffet, and was reserved for us. Ruth made 100 buttons, Chris P. made as many name tags. Alice brought for everyone a nice Canadian stamp souvenir, signed by Andre. And the Leung family made all the flags on the railing of the boat and on the tables. 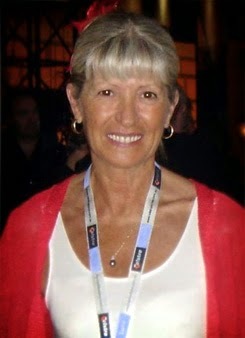 Jann, who could not attend the fan dinner, because she arrived at Saturday in Maastricht, sent me seven "You'll never walk alone" posters from Australia. At the entrance Ruud checked the list of participants, so that the right people could come in and I wrote the names on a small piece of paper, for the after dinner lottery. Jann's posters were the door prizes and Ruth added very nice stationary she made out of a Vrijthof Square aquarel and an Andre bag. Fans from Brazil, England, Germany, USA and Holland won the prizes. 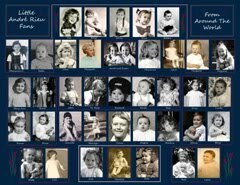 When I look at the pictures, I see German tables, Dutch tables and French tables, but also a lot of mixed up nationality tables. Arie (Dutch) can speak Portuguese with the Brazilian fans, Mireille can speak English and she translated for the French fans. Most German and Dutch fans can speak English, as well as the South African fans, who can speak Afrikaans and English. Chris and Siggy Plewa (USA) can also speak French and German, Sonja and John (USA) speak also Dutch and German, so it was a Babylonian chatting noise at the ship!! Wonderful!! We loved it! At last we want to thank all the fans for the presents they gave us. We got chocolates and Mozart Kugeln for our entire family for a whole year, we got a lot of other nice gifts, from Bejing, China, to souvenirs from Maine, and other USA-states, a watch, bracelets, a wallet, Swiss and Austrian souvernirs, candy from Perth, too much, too much! You all know you should not do that, for we work on our and your hobby, but we were very touched by your appreciation. It is best to watch the show 'Full Screen' which you can click on at the bottom. 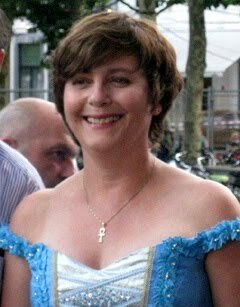 And Ineke has a new wonderful Fan Photoshow from Maasricht! Click below. 12 Comments ~ write your Comment here! Above you see Mario putting Banners in The Windows All Around The Vrijthof. He Was Waving To Us On The Way Up and I wanted to get a picture of it, so he waved again and posed for the camera. :) It's very impressive when they get all the banners up!! We noticed our hotel had no André Banners. Last year the hotel had 4 André Banners hanging from the fourth floor and we did not interfere with them, because we hung our banners from the third floor. As soon as Ruud saw Mario on the square, he asked why there were no André Banners on the hotel and Mario said he could not enter the rooms because they were occupied at the time he wanted to put them up. So Ruud said, if you give us four banners, we'll fix them for you. 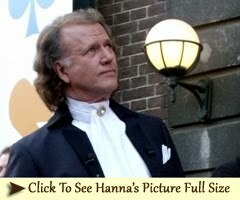 The next day the receptionist told Ineke and Ruud that Mario had brought four banners!! 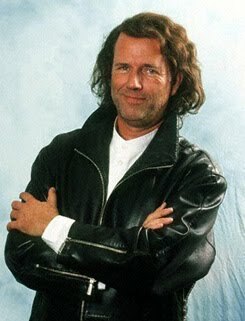 So Ruud fixed them in the rooms from the fourth floor for them! 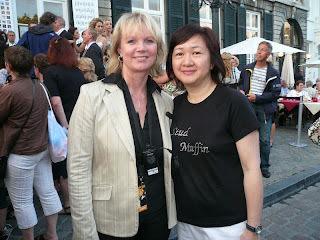 ►Kay and Jennifer's Maastricht Story and Photos! 9 Comments ~ write your Comment here! 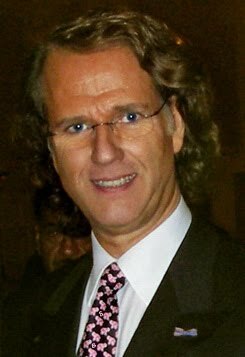 André Rieu's 400 Brass Players in Maastricht Concerts! 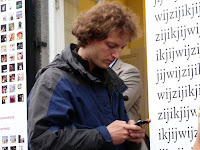 What Do You Do On a Rainy Afternoon in Maastricht? You spend it with 400 Brass Musicians!! 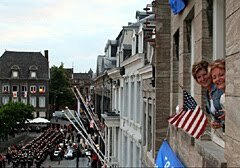 Click on the link below for pictures and to read about our afternoon watching the 400 Brass Players having their own Dress Rehearsal on Thursday afternoon when the Skies Openened Up as they often do in Maastricht! 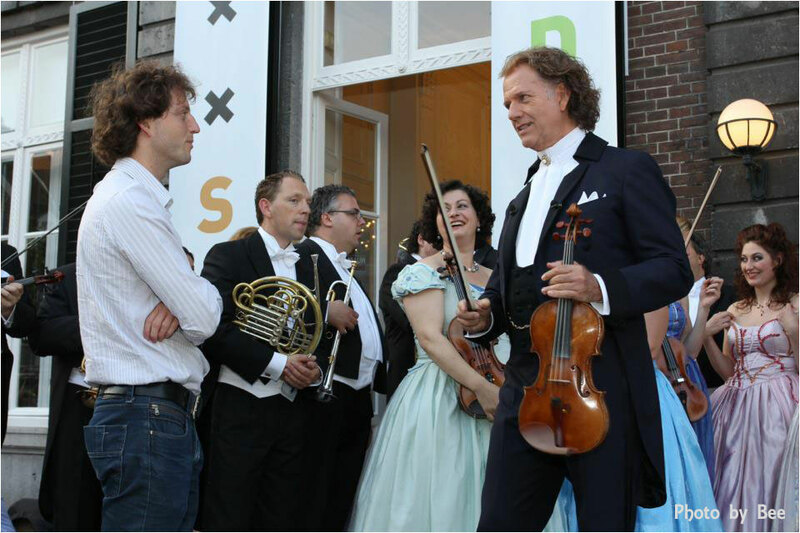 ►Thursday Afternoon With 400 Brass Players!
" 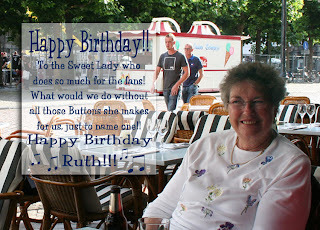 A Happy Happy Birthday to Ruth!!" 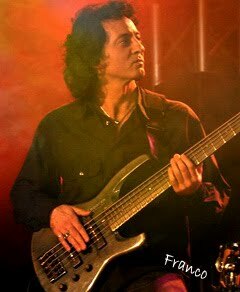 And a good day to thank you for all you do for the fans!! 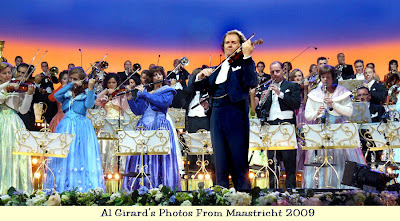 Alice Goes To Maastricht For André Rieu Concerts! Al has taken some Beautiful Photos of Maastricht while there. 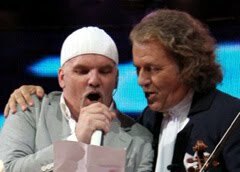 One of the highlights of the concerts for me was André's Tribute to Michael Jackson with the song "Ben". It has always been one of my favorite songs and to hear André and the orchestra play it brought tears to my eyes it was so beautiful. 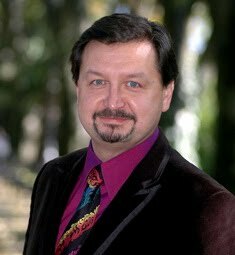 André has always said he liked Michael Jackson's music and on his Twitter yesterday he said it was an emotional day editing the Michael Jackson Tribute for the DVD. I asked Arie yesterday if he would post it on Youtube so we could watch it and he has already done it!! Here's the link ... Thank You Arie!!! 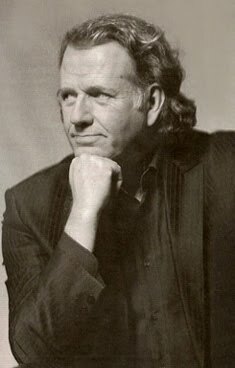 (For those of you that don't know the song, it was sung by Michael back in the early 70's when he was a young teenager, it's a beautiful song.) 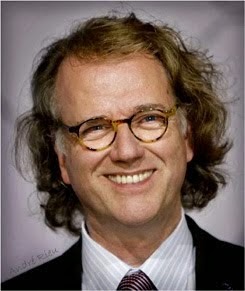 When I heard in Maastricht that André was going to do a Tribute to Michael I said I hoped he would play Ben ... 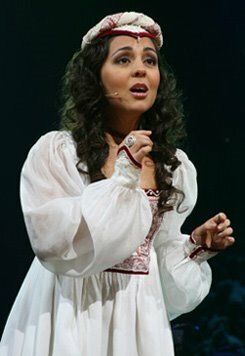 I just knew it would be Beautiful by André and it was!) 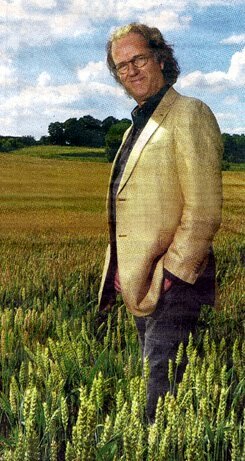 The photo is by Alice's Brother in law, Simon. 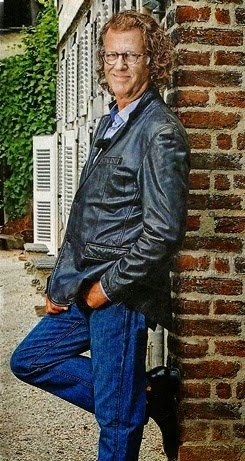 Still going through pictures cropping and sizing them, but here's another I wanted to post now ... I came across this one and it struck me ... what a perfect example of the amazing time we have there. My brain is still somewhere between Maastricht and California, so writing anything intelligent in length before it arrives here is out of the question ... there are little things that come to mind though and this picture brought back one of them. One other thing ... 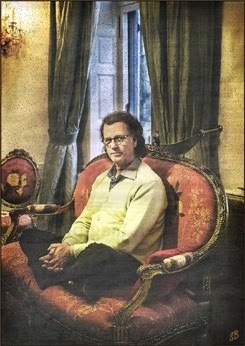 I asked him if we got the story right on the Parlor and he smiled and said, "you got it right." 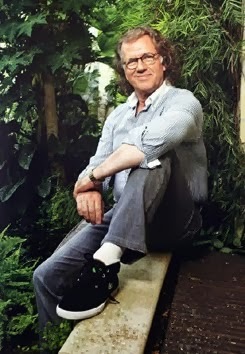 He also said that where he lives has the cobblestones like in the streets of Maastricht, only where he lives they are set in sand, not concrete ... so when he came down hard on it with his foot, it twisted. 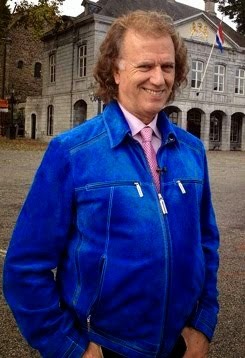 We knew of André appearing on this Police Television show when we were in Maastricht, but we didn't know all the details. 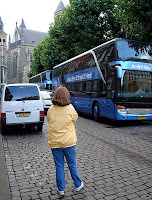 On Tuesday night Sonja and I saw out our window two of André's busses drive by going to the back side of the Vrijthof. (Behind the stage) We of course being the curious little cats that we are decided to walk over there and see what was going on, but other than the busses and a TV Crew couldn't see anything. We thought at the time it was just an interview, but couldn't figure out why the two busses parked there and why so much equipment. I took some pictures of the busses, it was really cool to see them in that setting parked behind the Vrijthof, and then we left. After that we went on to the location behind the Vrijthof where they had been and looked around asking a few questions here and there. 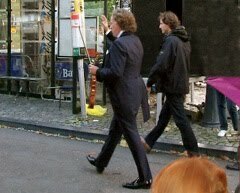 They were doing part of the filming of this TV show. 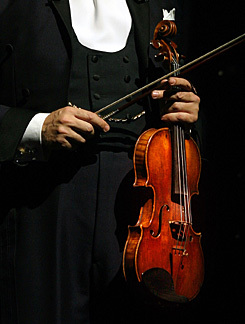 Also during the first concert on Friday they had the audience participate in it ... the plot is that André leaves at intermission and doesn't come back. 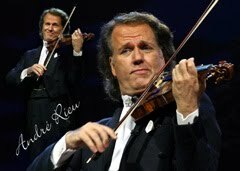 So the Audience is chanting André ~ André ~ André all the while looking at each other in concern wondering where he is. They also did some filming during the Dress Rehearsal on Thurs. 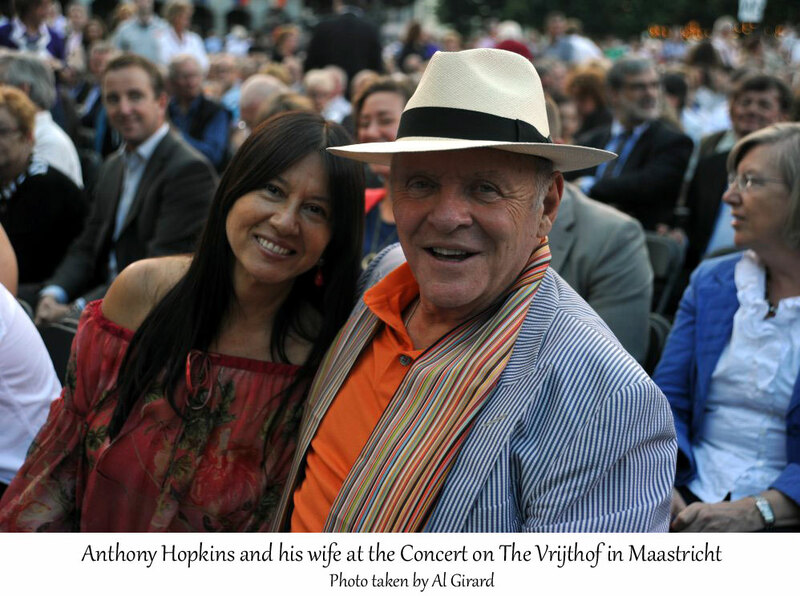 (I put some pictures of that on the Maastricht photo page in the Parlor Photo Album) Plus on the first concert Friday night, when André came marching into the Vrijthof, the woman (star) was coming in with him all the while talking on her cell phone with a frantic look on her face. It was all quite fun and something really different for everyone to see. 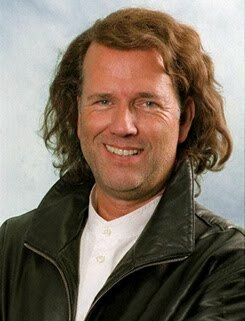 Below is the article Benny sent and Ruud translated telling us all about it. 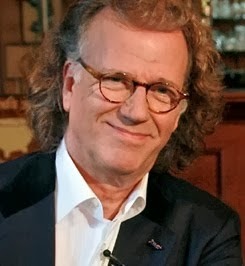 André Rieu Makes Guest Appearance on "Flikken Maastricht"
Violin virtuoso André Rieu appears as a guest artist in the police series Flikken Maastricht. 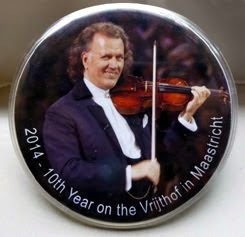 The recordings for the program will be done this week during his concerts on the Vrijthof in Maastricht. 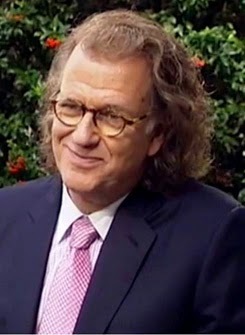 Earlier this year Rieu also had a guest appearance in the Australian soap Neighbours. 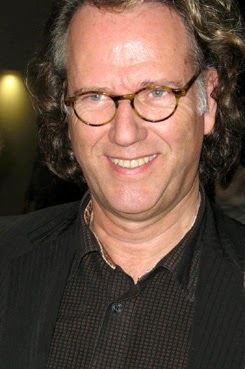 Now he can been seen in Flikken Maastricht. 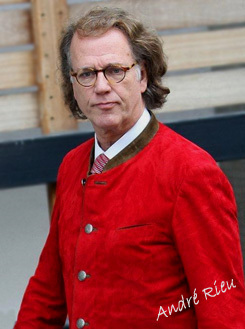 "In the episode, André Rieu plays himself" is said by the TROS. 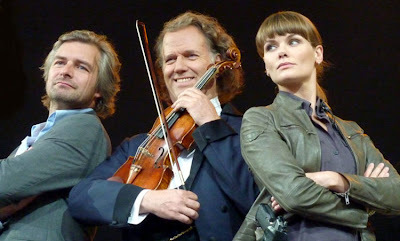 "Detectives Eva (Angela Schijf) and Floris (Victor Reinier) have to pull out all the stops to prevent an attack on Rieu"
"Flikken" is the Belgium nickname for a police agent, and can best be compared with "Cop". 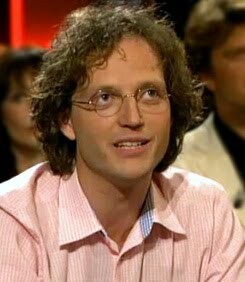 Flikken is a highly successful series in Belgium and since three years there is the Dutch offspring "Flikken Maastricht" which plays in Maastricht and it's surroundings. 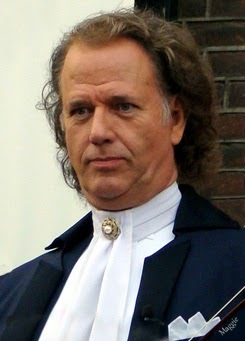 Prominent Maastricht inhabitants have a guest appearance. 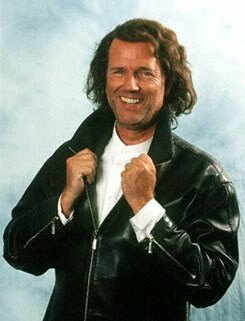 Mayor Gert Leers was once fined for incorrectly parking his car! 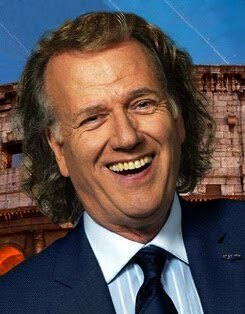 André Rieu Put On a Stamp in The Netherlands! 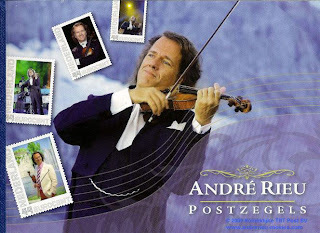 On July 13, 2009 the Dutch TNT Post issued a Booklet with nine stamps dedicated to the 30 Year Jubilee of André Rieu. 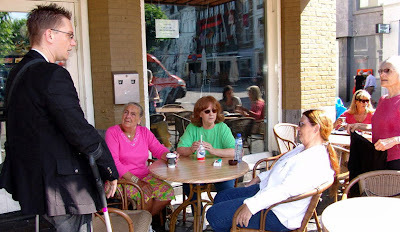 Many of us that were in Maastricht were at the postoffice first thing Monday morning to get our books. 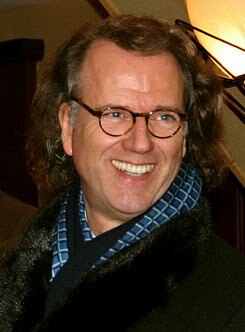 For those of you that couldn't be there and would like to get them, Ineke and Ruud have added the instructions on their site. 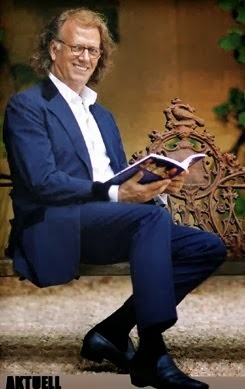 They have also scanned each page of the booklet and translated what it says. It's a beautiful little book the stamps came in and what a great job Ineke and Ruud did presenting it in English for us. 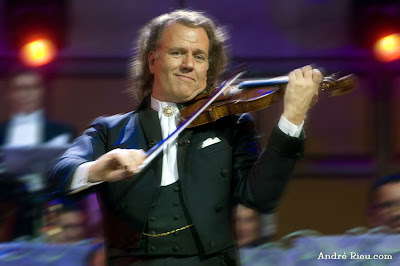 Go to www.andrerieu-movies.com/Andre_Stampbooklet.html to see it!